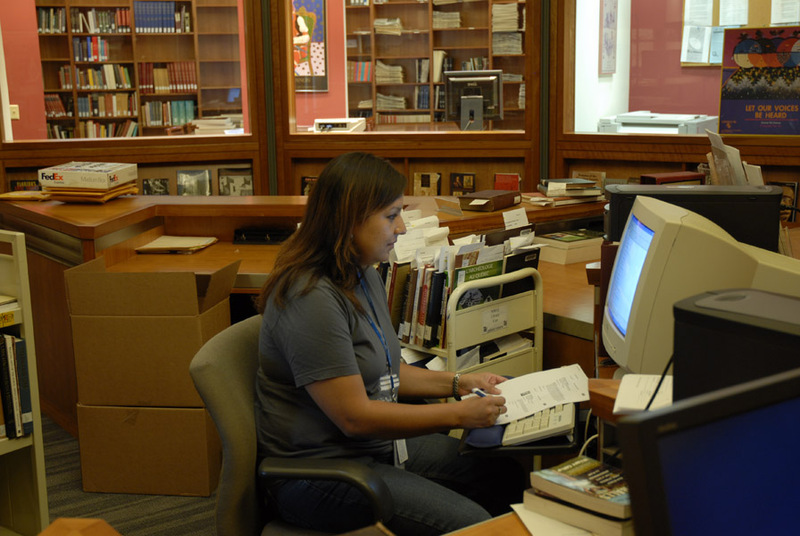 This past summer, intern Jennifer Himmelreich arrived at the Vine Deloria, Jr. Library at the National Museum of the American Indian from her home on the Navajo Nation in Beclabito, New Mexico. Her task: to organize the Native American artists’ files in the library – exhibition catalogs, postcards, slides, correspondence, CVs, and other ephemera – into an organized, succinct file system. Jennifer sorted through thousands of pieces of material, developing and editing a collection that will encourage study and research in the library for years to come. The internship, along with her current studies, has inspired Jennifer to think of ways to bring what she is learning back home.